Learn five ways to improve your local SEO and rank higher on search engines! 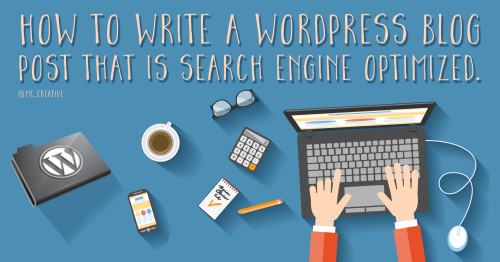 Search Engine Optimization (SEO) can seem like this mystifying thing that requires tons of work and lots of insider knowledge. While SEO has gotten more complicated over the years, there are easy things you can do right now to improve your search engine rankings if even you're not an SEO expert. 1. Add "Alt-tags" to all of the pictures on your website. This is a really easy thing that helps Google and Bing read your website better. Alt-tags are a bit of code attached to an image that tells search engines what the picture is depicting. Since search engines can't actually SEE and understand the context of the picture, this text is designed to help search engine bots know exactly what the image is about quickly so they can index it. How to add an alt-tag to your picture. HTML: Say you want to add this image to your site. Add this line of code - <img src="pocket-watch.jpg" alt="Vintage Pocket Watch on Black Background">. The "img src" part is the name of the image in your CMS and you can that the "alt=" states exactly what the image is - nothing more and nothing less. You don't want to get too long when writing your alt-texts. Learn more about adding an HTML img alt attribute here. 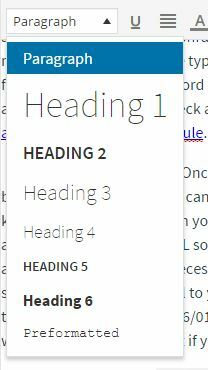 Squarespace/Wix/Wordpress/Etc: If you're using a CMS and design system like these, they make it super easy to add an alt tag. In this example, I'll show you using Squarespace since that's what I use for my website. Add an image to your page or post like you normally would on your Squarespace site. For this example I'm uploading a picture of dyed eggs. Once you upload your picture the "Filename (Optional)" will say the title of image you've uploaded. Sometimes the file name can be used as an alt-tag, but if you've downloaded a stock photo you'll want to rename the file here. Squarespace automatically uses the filename as the alt-tag. It's as simple as that! For more information about adding alt-tags in Squaresapce, click here. 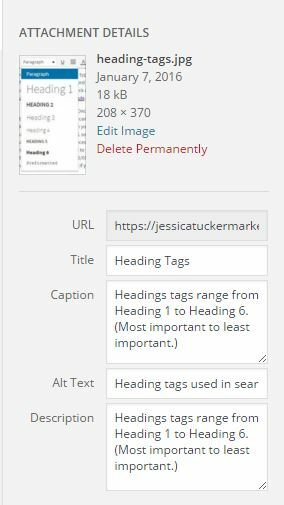 If you're unsure of how to add alt-tags to your site, please leave a comment down below this article and I"ll help you out! An important part of boosting your local SEO is to claim free business listings from various directory sites online and make sure the information is accurate. You especially want to claim your Google and Bing listings through their webmaster tools. This will allow you to verify your business page on their map pages when people search and it will also allow you to control the information so it's 100% accurate. When a page isn't claimed then anybody can suggest edits to the page so the accuracy can be a little iffy sometimes. You'll also want to claim your listings on sites like Yahoo, Foursquare, Yelp, MapQuest, Superpages, Local.com, Merchant Circle, etc. There are a lot of directory sites out there, but you can do a free scan of your website at Yext PowerListings. It's free to scan for your business, however if you want to change things directly from Yext it is a paid service. I mostly use it to see a list of sites that are available to claim or create a listing and then screenshot it so I can visit each site individually. You can do what is best for you. You can use this free scan to see how your local SEO is doing. 3. Check your websites for broken links. A negative factor affecting your SEO score is if there are broken links on your website. That means at one point you had a link to a page, image, etc, and changed the link without properly redirecting and now Google and other search engines can't find the content. Whenever you change a page link you should always submit a 301 redirect, which tells search engines that your content has moved and anyone trying to find the content can find it on the new page. To check for broken links you can use a free service like Broken Link Check. Once you've found any links that need fixing you can work on redirects. Depending on how you set up your website and what service you use, you can search on Google for the best way to manage 301 redirects on your site. So there you have three ways to improve your SEO right now! I hope you found this helpful and if you have any questions or comments, let me know in the comments! As a graphic designer, one of my biggest pet peeves is when someone asks me to incorporate their logo into something (i.e. flyer, website, merchandise, etc.) and the only have the logo in one format. And it’s usually not the format you need. While you can manipulate it to a certain extent, save your designer some frustration by requesting to receive your logo in multiple formats when it’s created. Not only will it make the process go faster, you will be able to use your logos in a multitude of ways. Vector (.EPS; .AI; .SVG): Vector files are able to scaled to any size without loss of resolution. Not to mention you’ll be able to tweak the logo any way you wish, because it will be the original file. PNG: PNG files (Portable Network Graphic) are best used on the internet. You’re less likely to lose data when using this format. You can also save the logo on a transparent background in a PNG, which also makes it easy to put on a different backgrounds. JPEG: Used mostly for high quality printing and digital photography on the web. PDF: Easily sent and shared, and it also maintains transparency in the background. These are the big formats you should always have your logo available. It will make it easier for you in the long run, and save your designer some extra steps. As a small business owner, maintaining good relationships with your customers is extremely important. Small, local businesses rely heavily on word of mouth marketing, and because of that, doing simple things to boost your CRM will help you maintain and grow your customer base. Start a conversation with a smile. This is probably the most basic thing on this list. It's so simple; yet why is it when I go into some stores it doesn't happen? In fact, I've been in some stores where the workers made me feel like it was a burden having me there. 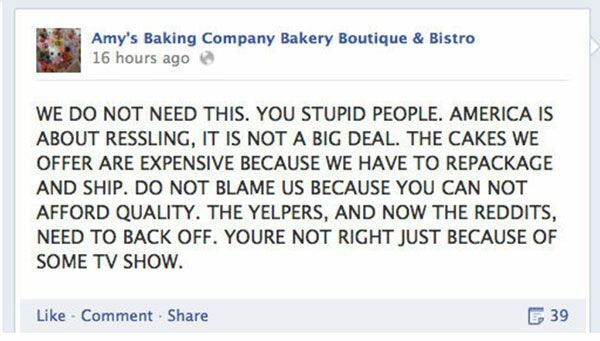 Having this attitude as a small business owner can be a huge downfall. No one wants to visit a store where the people aren't friendly. So smile, and start a conversation, even if it's just asking how they are, or complimenting a piece of clothing or accessory. Make an effort to remember names. Making an effort to remember a customer's name, especially repeat customers, shows them that you care about their business and appreciate them as a customer. Create a loyalty rewards program. Create a program that rewards repeat business. This is a simple way to entice customers to return to your store by offering an incentive to shop there. Just make sure that the reward is something that people will find to be worth shopping repeatedly for. Make your customer's opinions count. If a customer comes in and has a specific request or opinion about your shop. Make sure you listen, and write it down. If it's something that is possible for you to change, get their phone number and call them when that change has been implemented to let them. It will make your customer feel like their opinions really matter. Even if it's something that you can't do, get their name and number and tell them that you'll look into it. Incorporate technology in your business. Use CRM software to keep track of purchases and customer information. Use the technology to make their experience easier. For example, if you own a beauty salon, keep track of things like what color dye you used on your customers the last time they were there. When they come in you'll be able to quickly recall what you did for them and you can make adjustments as needed. That way there will be no guessing and your customer won't end up with a color/style they hate. You can also use email software to send out newsletters to let your customers know what's happening in your store. Set up automatic birthday emails that send a coupon to your customer on his or her's birthday. This gives them an incentive to come into your store. These are just a few simple things you can do to boost your CRM. What methods do you practice? As a graphic designer, one of my frustrations is when someone asks me to incorporate their logo into something (i.e. flyer, website, merchandise, etc.) and the only have the logo in one format. And it's usually not the format you need. While you can manipulate it to a certain extent, save your designer some frustration by requesting to receive your logo in multiple formats when it's created. Not only will it make the process go faster, you will be able to use your logos in a multitude of ways. Vector (.EPS; .AI; .SVG): Vector files are able to scaled to any size without loss of resolution. Not to mention you'll be able to tweak the logo any way you wish, because it will be the original file. PNG: PNG files (Portable Network Graphic) are best used on the internet. You're less likely to lose data when using this format. You can also save the logo on a transparent background in a PNG, which also makes it easy to put on a different backgrounds.